The long wait is over. American Idol season 8 took the wrap by declaring Kris Allen as the newest to the group in line with Kelly Clarkson (2002), Ruben Studdard (2003), Fantasia Barrino (2004), Carrie Underwood (2005), Taylor Hicks (2006), Jordin Sparks (2007) and David Cook (2008). Kris was made known on the wide variety of instruments that he can play. He has been compared to the singing style of Jason Mraz and did numerous performances with his guitar, adding up a twist on each piece by giving his own unique rendition. His strong faith as a Christian and a worship leader made him the last man standing on the idol stage. FYI, he has done missionary works in countries such as Burma, Morocco, Mozambique, South Africa, Spain and Thailand. Competed with Adam Lambert for the title, twenty-three year old and newly wed Kris from Arkansas proved to the judges that He really is the next American Idol from the time he auditioned at Louiseville, Kentucky singing "A Song For You" and performed consistently great every idols night. 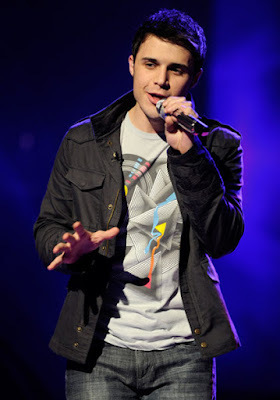 Kris Allen Wins American Idol!